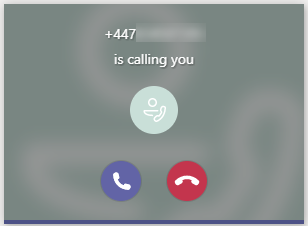 In my opinion, one of the most exciting things about Microsoft Teams Direct Routing is the ability to configure this directly from a carrier into Microsoft. 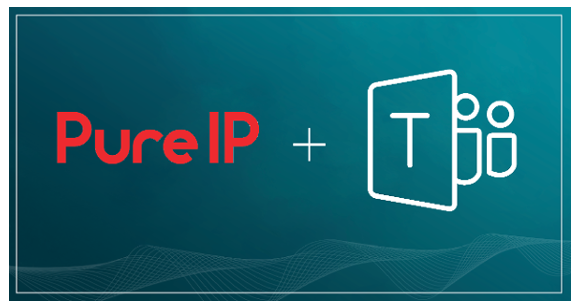 For companies wanting to test Direct Routing as part of a proof of concept, or even smaller organisations, this means you need zero on-premises voice infrastructure (SBCs etc) and can utilise the scale and resilience of the carriers to achieve your telephony goals. 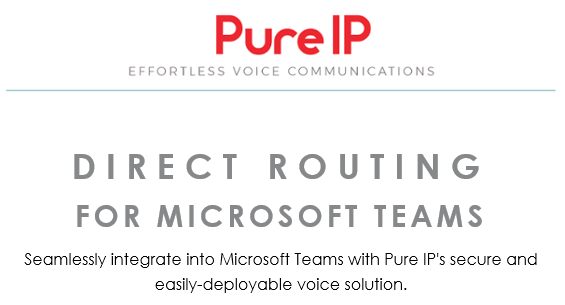 It was no surprise for Pure IP to be one of the first carriers to offer this as they’ve always been eager to support Microsoft’s voice solutions. They’re very quick when compared to the established carriers who (in my experience) are agonisingly slow to do anything. Costs aren’t too bad. Each Teams SIP channel carries a monthly cost of £5.75 along with a £10 setup charge per channel. There is also a one off cost of £150 to cover their setup of your trunks, certificate and testing etc. Be aware there is a minimum order of 5 channels. So, for the purposes of this test it cost us a one off £200 and a monthly recurring charge of £28.75 for 5 channels. 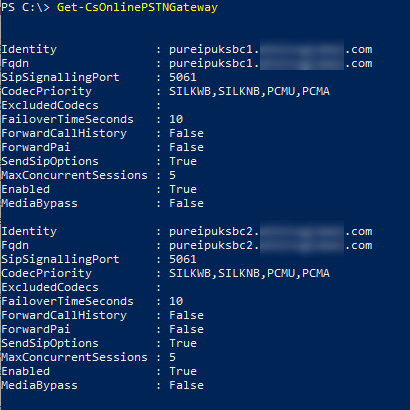 Perhaps the biggest caveat is that the user needs to be hosted in Skype for Business Online. I imagine this is about encouraging people to migrate to the Cloud rather than any technical limitations. 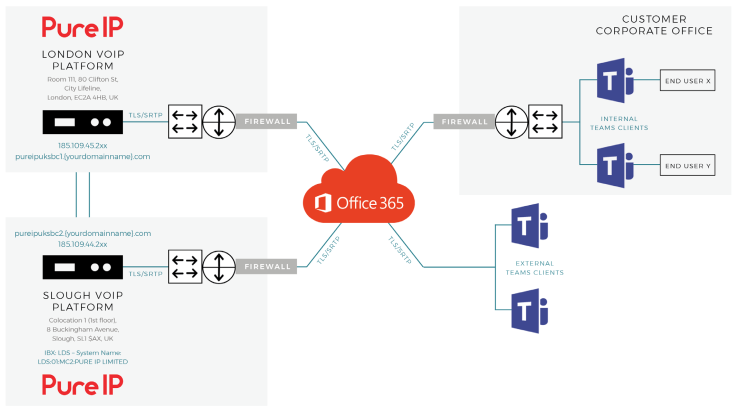 The rest of this article will focus on the voice policy required within Microsoft Teams to route the calls to the Pure IP environment. 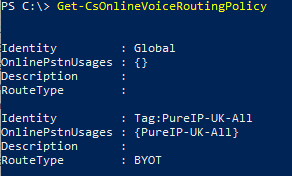 My configuration is going to be the bare minimum to get the calls routing through Pure IP. If this was going into production you’d want a far more comprehensive configuration of policies to do things like limit international or premium-rate dialing or take advantage of least cost routing etc. Note: For help with your voice policies, usages and routes I strongly recommend Ken Lasko’s Skype Optimizer as it will save you a lot of work (and time). 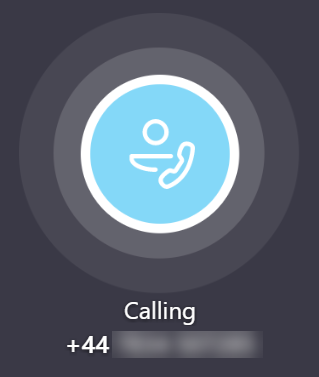 Shortly after you’ve assigned the voice routing policy to the user (can be forced with a sign-out/sign-in) you will see the Calls tab in the Teams client and calls will route via the carrier.